I remember buying this album. *Gasp* Andy bought something? Yes. In 2005 I was half-assing my way through community college, living at home, and not doing much. I remember forgoing Border's (which in the town I grew up in was the sole source for anything remotely "indie rock") for Everyday Music. You see, I had worked a crazy job the summer prior, making a lot of money for a kid just weeks outta high school with no work experience. And I blew almost all that money on cd's and other things I didn't need. 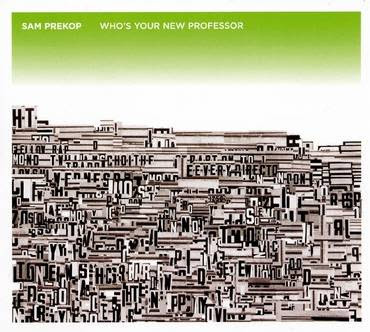 Prekop's voice is so likable, the smoothness of his music so enjoyable, I immediately fell in love with the record. It was around this time that my mom and I got close and I accompanied her on some of her sales trips for work. The cd that I brought along that we both enjoyed a lot was this. Fond memories of driving to the beach with "Who's Your New Professor" just capturing the serenity of the Oregon Coastal passages. It's not the best album ever, but it's one that I come back to every so often. Today was one of those days.